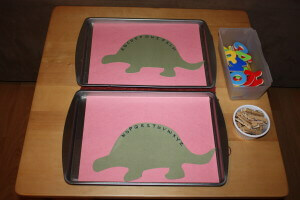 I always like to have a few simple Montessori style activity trays ready to fit our theme work. Usually, if I set him up next to me, he will work somewhat independently on them while I get some computer time. 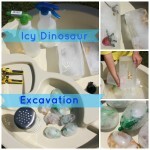 It feels like forever but we are finally wrapping up dinosaur week. 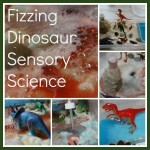 We have had some great fun with all sorts of sensory play, measuring lessons, field trips and more. 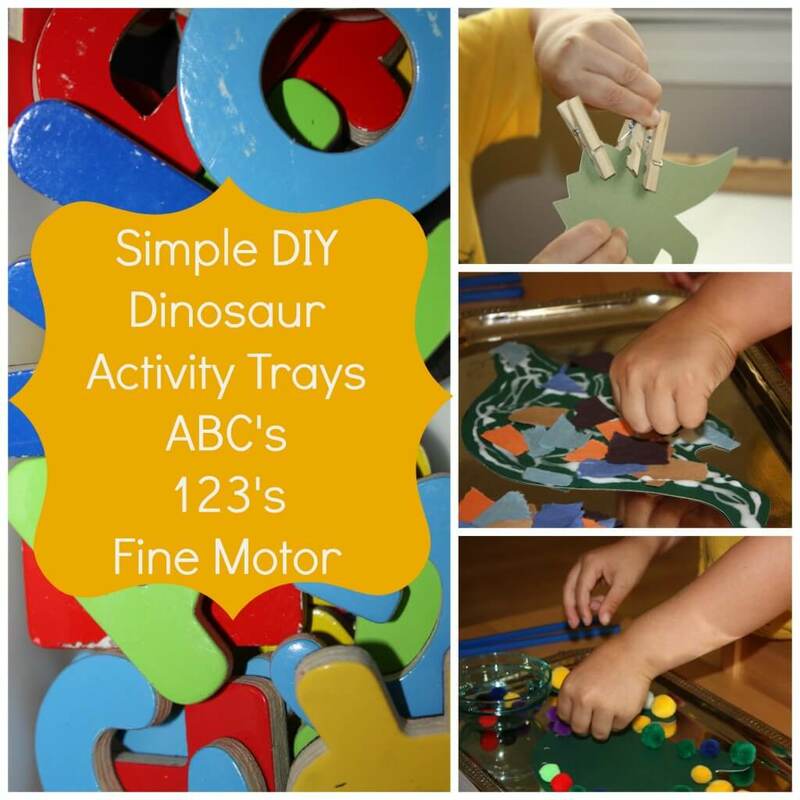 Sometimes though, we need to work on sitting and completing tasks from start to finish and that's where my activity trays come into play! I really like for the trays to be as hands-on as possible for sit down activities so that they are still engaging and exciting but still need concentration and control. 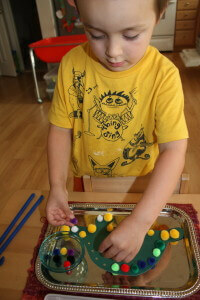 He loves to see clothes pins, pom poms and dice! Besides the traditional alphabet and number recognition, I like to find ways to include addition, matching, fine motor skills and crafts. The latter two being his least favorite! 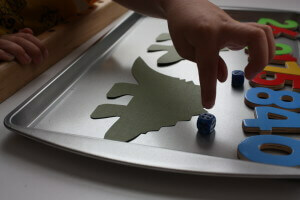 Most of our trays usually cover 2-3 skills! 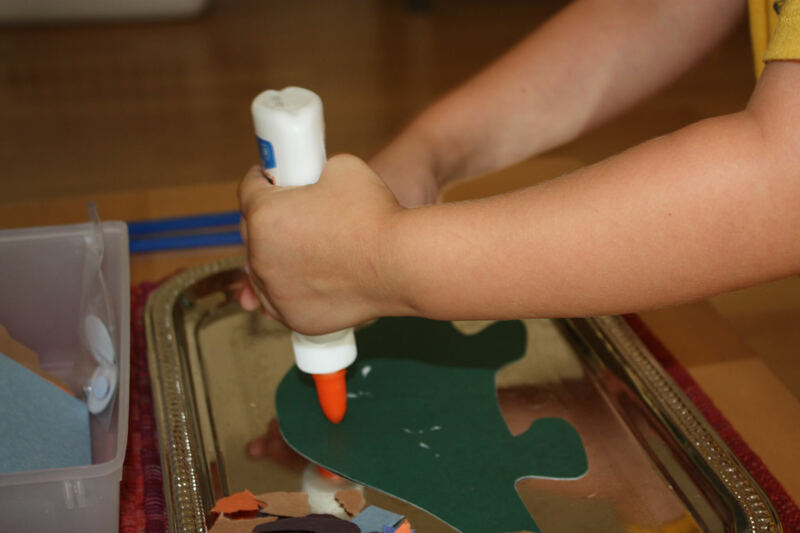 I do use some worksheets I like but they don't usually incorporate many skills into one sheet. 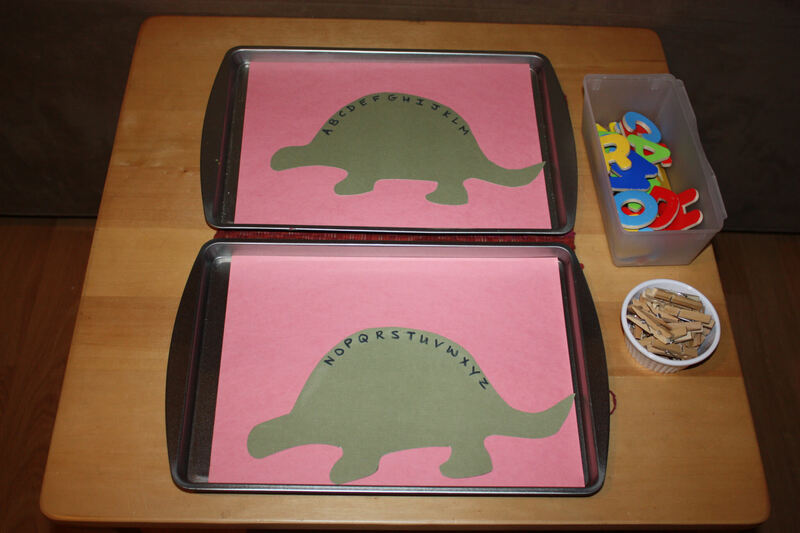 Here are 4 activity trays and you can definitely alter them in easy ways to fit the current age or ability of your child! 1. Pom Pom Dinosaur Outline & Counting: All of these activities really come from these two sets of dinosaurs I drew and cut out from card stock. 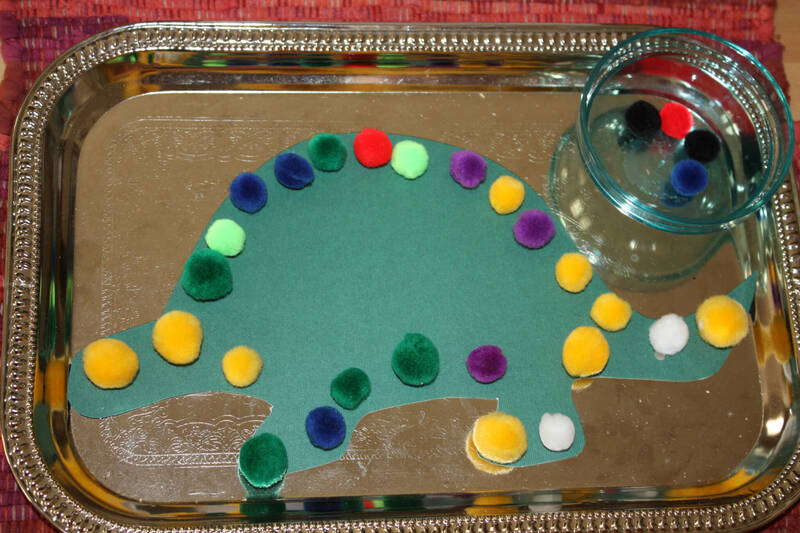 For this one, I punched holes all around the outside and simple placed a bowl of small pom poms next to it with chopsticks. 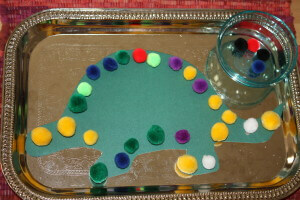 Each punched hole was to have a pom pom placed on top. Hopefully, he would use the chopsticks but he was easily frustrated with them. He counted how many were left each time! 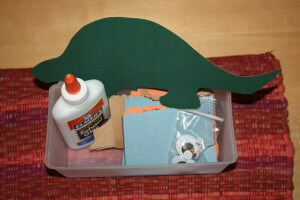 Dinosaur torn paper and gluing craft. First Liam had to practice tearing the paper into small pieces. Then he squeezed glue and went to town decorating his dinosaur. Simple but fun! 3. 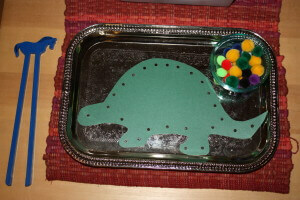 Roll and count dinosaur game. 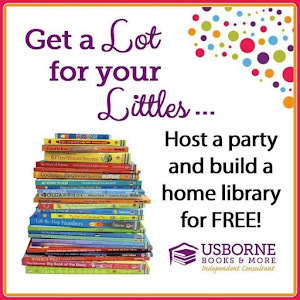 This has multiple steps but can be simplified for a younger child or made more difficult for an older child! 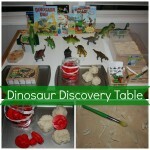 Liam rolled the dice and placed one by each dinosaur. 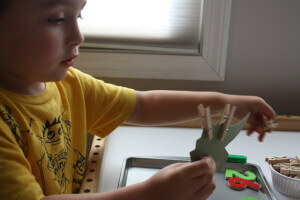 He picked out the correct number magnet and then put "spikes" on his dinosaur with the clothespins. 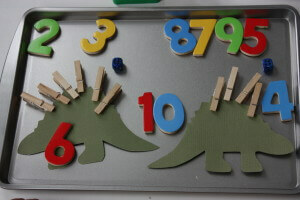 Lastly he counted the spikes and chose the number equal to the amount he counted. 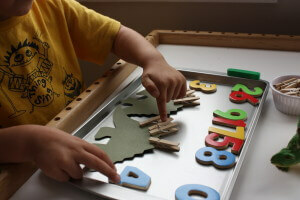 Lots of counting, number recognition and pre-math skills. 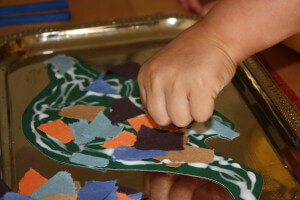 Oh and some fine motor work thrown in too! 4. 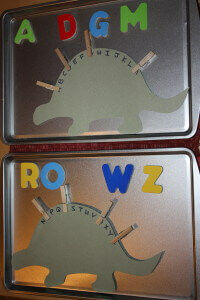 Alphabet dinosaur magnet match. 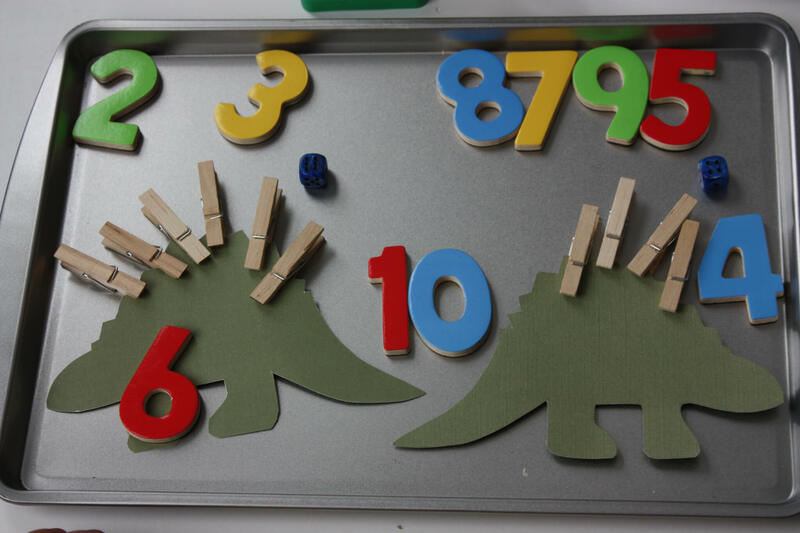 Similar set up to the count game above except with letter magnets. 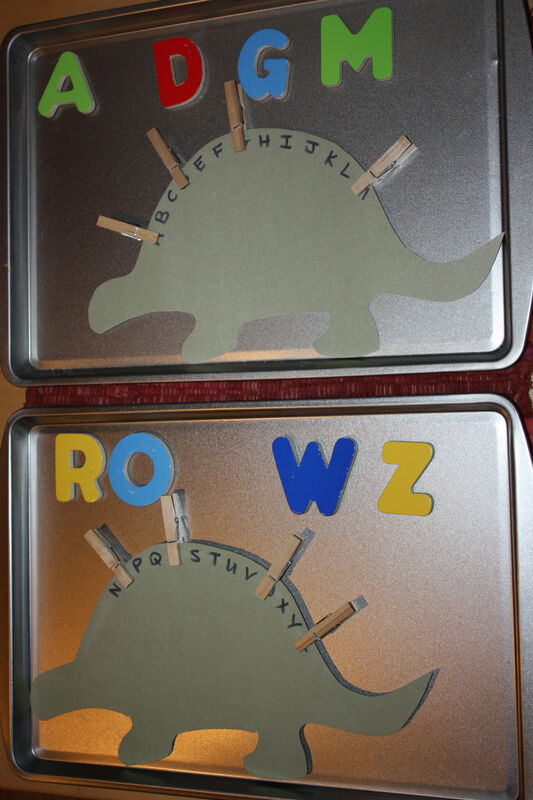 Liam chose a letter from the bin and placed it on the correct tray and used a clothes pin to mark the correct match on the dinosaur. 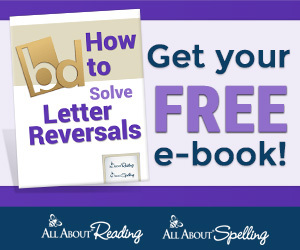 Sadly the pictures showing him doing this had some problems but he did put all the magnet letters in order after! 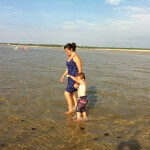 My name is Sarah and I am a fitness professional turned stay at home mom to my almost four-year old son Liam. He is on the spectrum and has sensory processing disorders so we work extra hard each week to come up with fun activities where we can learn through play and enjoy being together! 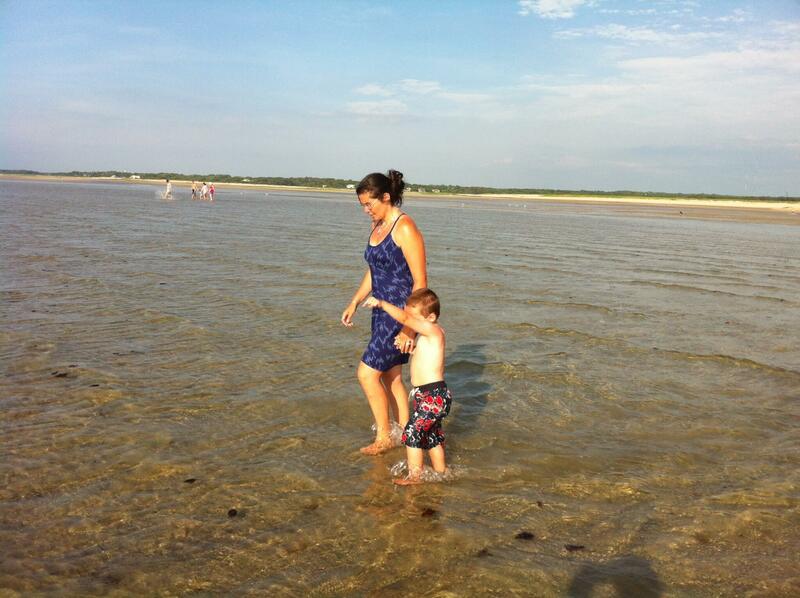 Some days are winners and some days are more of a challenge. 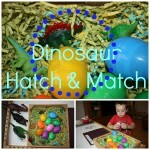 I hope you enjoy our dinosaur fun that we have been having around here and stop by and visit us at Little Bins for Little Hands (click here) or like us on Facebook at Little Bins for Little Hands (click here). 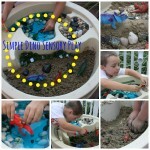 We have lots of ideas for sensory play and more! A big thank you to Sarah for sharing some of her wonderful, dinosaur activities with us! 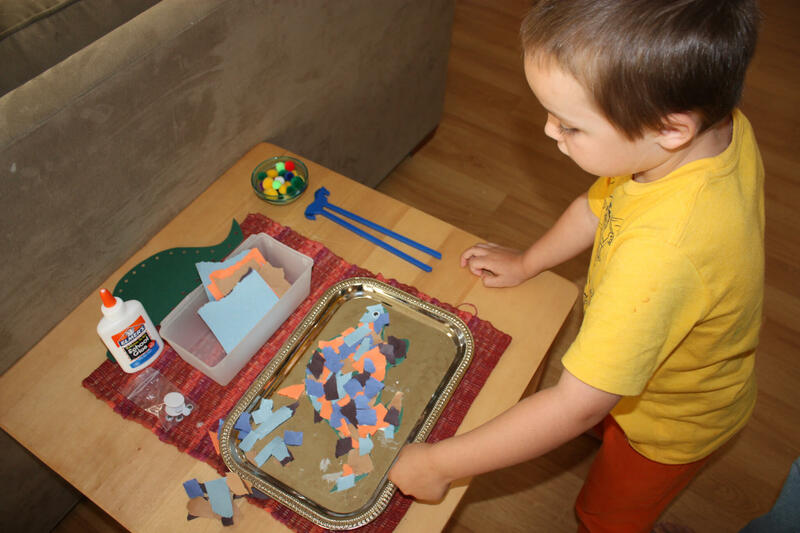 If you haven't checked out her blog Little Bins for Little Hands you definitely should!